Looking for advice on natural health and wellbeing? Your local independent health store can offer a wealth of knowledge and expertise. 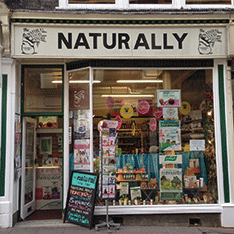 This month we speak to Angela Stephenson, store manager at the Natural Food Store in Norwich. Superfoods get their name because they’re rich in a number of key nutrients. There are tons of foods that we can classify as superfoods that each make great additions to a healthy, balanced diet. The team are all passionate about natural health and we have many superfood favourites. I really like maca as it’s a fantastic source of vitamins, minerals and phytonutrients. By adding maca to your daily smoothie, it’s a great way to include this adaptogenic herb in your diet. Chia seeds are another favourite of mine as they are a real nutrient powerhouse containing protein, amino acids and essential fatty acids. I’m also a big fan of greens. There are so many different green powders and supplements available in store. You can get a variety of superfood green powders such as wheatgrass and barley grass. There’s also kale and broccoli powders in addition to good old fashioned spirulina and chlorella that have been around for years. Spirulina and chlorella remain a real staple of the superfood family. Other team favourites include barley grass (it’s a morning smoothie ingredient-must for one of the team), maca and cacao nibs. For chocoholics, cacao nibs are a healthy alternative that’s tasty and full of energy-boosting nutrients. You can find a wide range of superfoods in store – everything from psyllium husk and inulin to chia seeds, protein powders, cacao, baobab and moringa powders. You name it, your local independent health store will be able to source it for you! Protein powders are also becoming more popular with our customers. Protein is so important yet many of us don’t get enough through what we eat. It’s one of the three major macronutrients that our bodies need but it can be difficult to get enough through your diet, particularly if you have dietary restrictions or food allergies. Vegetarian and vegan protein powders such as pea or hemp protein are a great way to supplement and they’re becoming increasingly popular. Pea or hemp protein can easily be added to smoothies or soups in the winter months to increase your protein intake. Other customer superfood favourites include psyllium husk which is really the superfood of fibres. That’s proving popular at the moment. There has also been a huge customer interest in inulin following the BBC documentary How to Stay Young, with Angela Rippon. It looked at the benefits of this fibre supplement and there has been a big customer demand for inulin ever since. I feel kale powder is going to be the next big superfood as it recently featured on the BBC’s Trust Me I’m a Doctor as part of a focus on eye health. Independent health stores have a major strength and that’s the knowledge of our staff. Customers really appreciate the reliable advice and service they receive via the small independent gem they have in their town or city. The Natural Food Store is a family-run business that will celebrate its 40th birthday in February. The store is a prominent and popular fixture in Norwich city centre. It has an extensive range of superfoods, natural remedies, supplements, herbal teas and organic skincare. Staff are always on hand to advise customers. Each member of the store’s team has a background in natural health. The store’s owner Trish is a registered homeopath and is principal of the Homeopathic College of East Anglia. Additionally, the store has a complementary healthcare clinic (based in the same street) that offers a wide range of natural therapies and treatments.